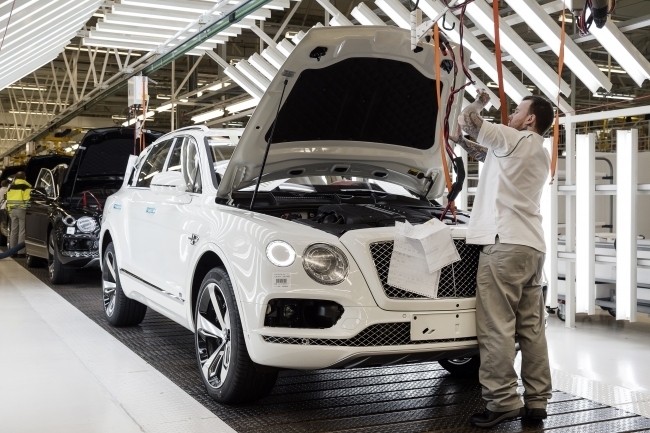 It is very much ‘as you were’ for the June 2018 IHS Markit UK Manufacturing Purchasing Managers’ Index (PMI). The index, published on July 2, was up 0.1 on a downwardly-revised 54.3 in May, reaching 54.4 and providing glimmers of hope for the manufacturing sector, although from a low base. Worries over price increases, possible future trade tariffs and Brexit uncertainty all played their part in dampening positivity, but a majority of respondents still expect rising output in future. June saw a solid improvement in the rate of job creation, with staffing levels rising at the quickest pace for three months. Employment increased in the consumer, intermediate and investment goods sectors. However, the overall rate of jobs growth remained below those seen through much of 2017. Some companies noted that higher output had been partly sustained through inventory building and clearing backlogs of work. Rates of growth in new work received were broadly steady in both domestic and overseas markets. There was a rise in new export business, partly linked to increased sales to mainland Europe, China, South America and Australia. Input cost inflation accelerated to a four-month high in June, with companies reporting a wide range of inputs rising in price. Some noted that cost increases were exacerbated by shortages of certain raw materials. Despite that, business optimism remained positive. Over 51% of the survey panel forecast output to rise over the coming year, linked to market growth, investment spending, organic expansion, planned promotional activity and higher capacity. 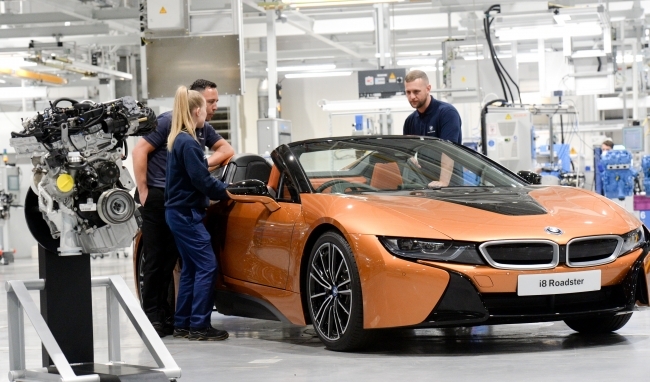 Engines from BMW Group’s Hams Hall production plant, near Birmingham, are to power the company’s latest electrified model – the new BMW i8 Roadster, now on sale in the UK. The Midlands-based plant has been producing engines for the BMW i8 Coupe – the world’s best-selling hybrid sports car – since it first hit the roads in 2014. Now the plant will supply engines for the new BMW i8 Roadster, as well as a new version of the i8 Coupe. Exclusively produced at the Hams Hall plant, the three-cylinder petrol engine with BMW TwinPower Turbo technology – a winner of the International Engine of the Year Award – is combined with a hybrid electric motor to form the i8’s multi-award-winning advanced plug-in hybrid drive system. The drive duo melds sports car performance qualities with the sort of fuel economy and emissions usually associated with compact models. Hand-built by a small team of the plant’s top engine technicians, the combustion engines for the i8 are assembled on a dedicated, unique facility, recently expanded and enhanced to increase production capability for further high-spec engines. 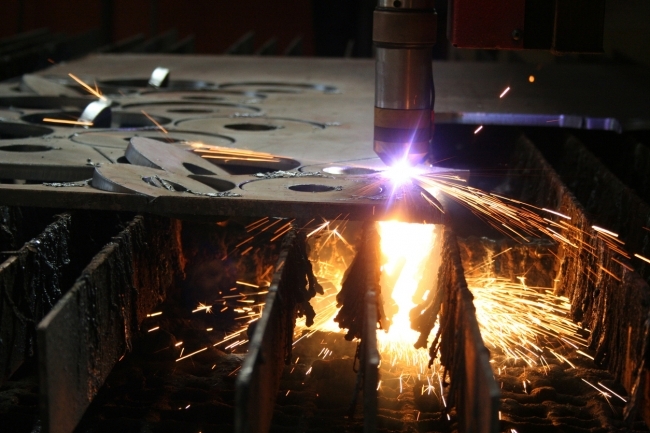 Overall, the Hams Hall plant is going from strength-to-strength. Production of engines for a number of BMW and MINI models is expected to peak over 350,000 units, with the machining of key engine components likely to top 1.4 million parts this year. MBDA’s new high-tech manufacturing facility in Bolton has been officially opened by the Rt. Hon. Gavin Williamson MP, UK Secretary of State for Defence. The cutting-edge facility houses almost 700 highly-skilled design, engineering and manufacturing employees and is being used for the production of inert missile equipment and systems. An opening ceremony marked the completion of five years of development and £50 million of investment by MBDA. 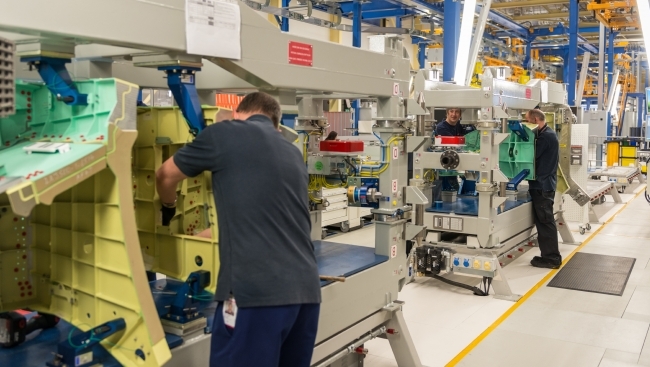 The new site will significantly improve MBDA’s design, test and production capabilities – securing the UK’s and the company’s world-leading status in complex weapons technologies, as well as leading manufacturing capabilities in the North West for the next 25 years and beyond. Mr Williamson toured the production floor at Bolton and visited some of MBDA’s innovative and industry-leading centres of excellence. 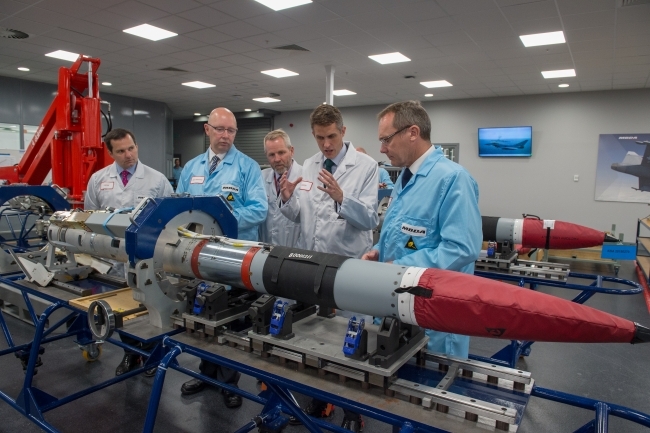 The new Bolton site is where a number of key missiles are being produced for the UK Armed Forces, delivering operational sovereignty and freedom of action to the UK. During his visit, the Defence Secretary participated in the re-signing of the Armed Forces Covenant by MBDA, an important commitment by the company in support of what our Armed Forces do for the country. The visit concluded with the Secretary of State for Defence meeting employees who spoke about the wide range of activities undertaken at the site and how proud they are to play a strategically important role in UK Defence. The introduction of the Apprenticeship Levy is prompting major employers to find creative new ways to develop key staff at Master’s degree levels – building business and management capabilities on top of technical foundations. In this article, recent graduate recruit at BAE Systems, Joel Fuentes Tobin, explains how the Postgraduate Engineer Apprenticeship with Cranfield University is enhancing his career potential and value to the organisation. Official productivity statistics have been released, showing that the first three months of this year saw a productivity drop across the country. However, in Sheffield, the AMRC is supporting a range of manufacturers – like Boeing, Airbus, McLaren Automotive, Rolls Royce and BAE Systems – to improve a myriad of processes using technology. Ben Morgan explains how a fast-growing, high-value manufacturing cluster is embracing a productivity revolution. The Bank of England governor now has more confidence in the UK economy, in a speech which could stoke expectations of an interest rate rise in August. Mark Carney said recent data had given him “greater confidence” that weak first-quarter growth “was largely due to the weather”. He also said household spending and sentiment had “bounced back strongly”. In a speech at the Northern Powerhouse Summit in Newcastle, Mr Carney said: “Overall, recent domestic data suggests the economy is evolving largely in line with the May Inflation Report projections, which see demand growing at rates slightly above those of supply and domestic cost pressures building.” The pound edged up 0.2% against the dollar to $1.3254 following his remarks. In a Q&A session after his speech, Mr Carney – who was wearing a Three Lions lapel badge – was also asked about the economic impact of an England win. “It would be an unalloyed, unadulterated absolute good. Everything would be good,” he replied. Shell, one of the world’s biggest oil and gas companies, has backed calls for the UK to bring forward its 2040 ban on new petrol and diesel car sales. Ben van Beurden, chief executive of the Anglo-Dutch group, said he welcomed the idea of bringing forward the ban, as it would provide clarity and make it easier for companies like Shell to make investment decisions and also shift consumer attitudes. The rise of electric cars, which the government is banking on to displace conventional cars and cut air pollution and greenhouse gas emissions, poses a double whammy for oil companies. As well as cutting demand for their main product – though how fast and how deeply is hotly disputed – the switch also threatens their petrol stations. Shell has responded by buying electric car infrastructure firms and beginning to install charging points on forecourts, while BP last week bought the UK’s biggest electric-car charging network for £130m. Van Beurden said a lot of work was needed to cut emissions from transport, which in the UK has overtaken energy as the sector with the biggest carbon footprint. Generations of England fans know two things to be true. The first: that Germany always reach the latter stages of international tournaments. The second: that England always lose on penalties. But in the space of a week, those narratives have been crushed, and over the coming days this England team has the opportunity to forge new expectations of their national team for generations to come. Lessons from Gareth Southgate’s past has undoubtedly helped England focus on mental resilience and penalty preparation, culminating in victory against Colombia. Penalty shootouts certainly require an element of luck, but good process and preparation can help nudge the odds in your favour. And in football, sometimes that’s all you can control. On 5 July 1948, 70 years ago on Thursday, the National Health Service (NHS) was born. This article takes a look at seven decades of the development of the NHS, alongside medical advancements, highlighting events that have been documented with archive photography.